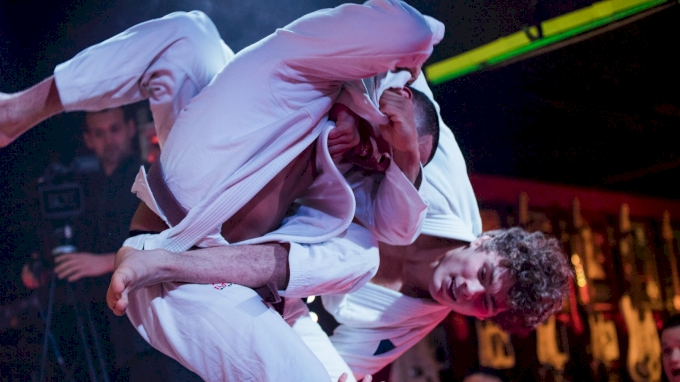 The rise of professional jiu-jitsu has flipped an old script on its head. The popularity of MMA over recent years led to many of the most talented jiu-jitsu practitioners believing that their chances of having their name in the spotlight (and more money in the bank) would be better if they stepped into the cage. From there, they'd take fight after fight until their bodies or bosses told them "no more", and just like that, their competitive career would be at its end. Fight to Win Pro is changing all that. The professional jiu-jitsu promotion has made a name for itself by giving grapplers the star treatment normally seen only in the MMA world. Mixed martial artists, both active and retired, are taking note. Fighters from the smallest local shows to UFC veterans are discovering that whether your time getting punched in the face is over or not, there is still money and stardom to be found in professional grappling. Part of the reason Fight to Win has been so popular among MMA fighters is that CEO Seth Daniels knows how to run a show that appeals to both practitioners and fans of combat sports. Before it was focused on jiu-jitsu, F2W was an MMA promotion. It was only when Daniels got fed up with the MMA scene that he decided to put his time, effort, and equipment into something that would provide athletes and fans with the glitz and glamor of MMA, but without the attitude. For Vellore Caballero, who's a frequent Fight to Win competitor and referee, the appeal is undeniable. Back when he was a fighter he competed in F2W's MMA events. Now that he sticks to competing in jiu-jitsu, he says he still enjoys the lights, music and effects that give the events "an MMA feel." Of course the tension that accompanies an MMA fight is there, too. Caballero brings up the point that at a larger jiu-jitsu tournament it's easier to relax because so many people are focused on the matches going on around you. But when you compete at Fight to Win, all eyes are on you. "In this way, I think it gets closer to the angst and nerves that are usually present for MMA fights," he says. "For me, as I get older, it certainly feels more appealing than getting punched and kicked in the face. I can't do that for long, but with jiu-jitsu I feel as though I'll be able to compete as long as I'd like to." 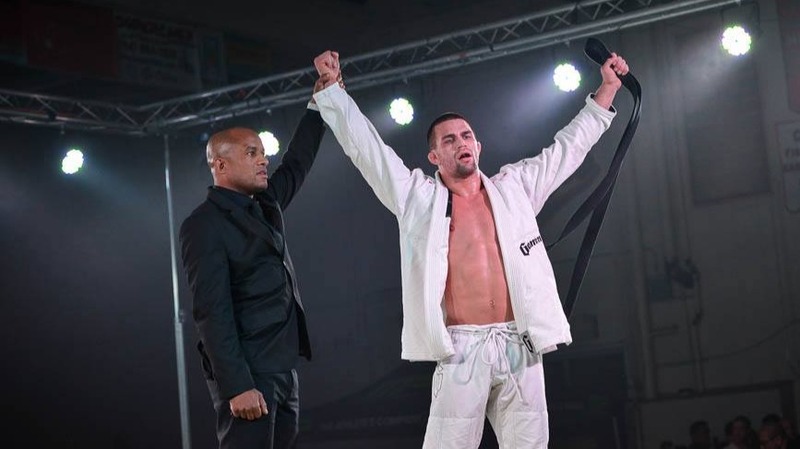 Caballero's Easton BJJ teammate Eliot Marshall has also satisfied his craving for the thrill of competition through Fight to Win and jiu-jitsu as a whole. He's among a surprisingly long list of prominent names -- including Jake Shields, Lyoto Machida, and Benson Henderson -- who have competed for both the UFC and Fight to Win events. When you fight at a high level, that fight is in your blood. For me, Fight To Win has given me an outlet for that energy. It lets me get nervous again and enjoy those feelings. Both Marshall and Caballero have retired from competitive MMA, but Fight to Win still features many athletes who are still active in the MMA scene. Multiple Invicta fighters such as Andrea "KGB" Lee have appeared on the cards, and BJJ superstar Mackenzie Dern has continued to be a familiar face on the stage even as she takes her first (very successful) steps into the MMA world. 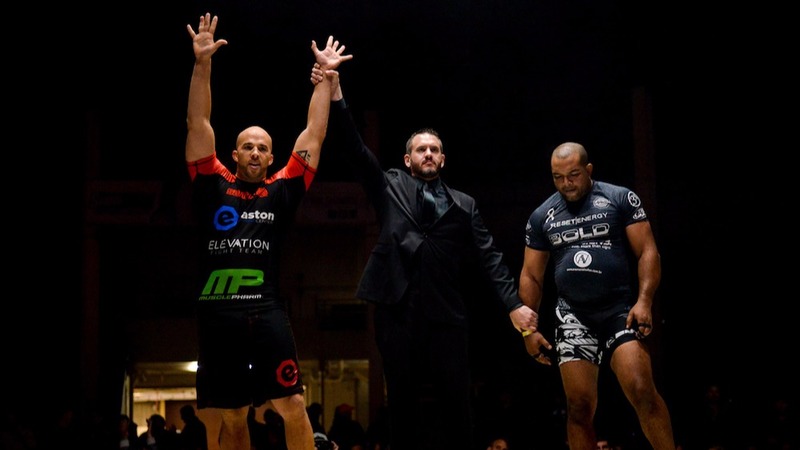 Justin Rader, who won the US ADCC trials in 2016 and frequently fights in the Legacy Fighting Championship, has also taken the Fight to Win stage multiple times. For him, the challenge is all about pushing himself to new levels while improving on his already vast skill set. It gives me a chance to compete in between MMA fights and helps keep my grappling game sharp. It's also a sub-only ruleset event, which presents a different style of grappling compared to the points style I came up through in my time, so it's given me the opportunity to expand my own style in a competitive environment. Despite the large number of talented mixed martial artists who grace his stage on a regular basis, Daniels says their presence is practically coincidental. "I use the best grapplers that are available. If they are MMA fighters it's fine, but I am not looking to sign MMA fighters -- it just happens," he says. Fight To Win might not actively be trying to get MMA fighters on their events but there's no doubt that the pro jiu-jitsu event is one that many MMA fighters are actively trying to get onto. Whether they're in it for the thrill of the fight, the love of the sport, or a bit of extra practice, these athletes are proving that jiu-jitsu truly erases limitations.